GRE vs. MAT: Which Test if for You? Exam acronyms and grad school admissions go hand-in-hand. ‘GRE’ comes up a lot, of course. But there’s also ‘MAT’, which stands for Miller Analogies Test. A program you’re applying to may accept scores from either exam. If you have the choice, which test should you take? Consider some basic differences between the two tests. Here’s a table that compares the knowledge and skills that the exams try to measure, as well as the length, structure, format, and cost of each exam. The GRE tests a wider range of skills, while the MAT tests a broader base of knowledge. 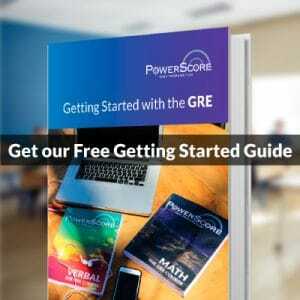 On the GRE, you’ll write essays, solve equations, and evaluate arguments, among other tasks, but you won’t need to know any particular subjects, aside from high school level arithmetic, algebra, geometry, and data analysis. The correct answer is (c). Limestone is classified as sedimentary rock, just as granite is classified as igneous rock. Because the MAT demands a breadth of knowledge, you may find it hard to prepare for, despite its using only one type of question. Of course, the GRE, which has seven kinds of questions, requires a diversity of skills, a (modest) depth of mathematical knowledge, and a broad college-level vocabulary, so studying for it isn’t easy. Still, to its credit, the GRE’s content remains narrow enough to cover in a self-study book or two. Although the MAT demands you know more, the GRE makes you do more and keeps you testing for much longer. Here, the difference between the exams is like that between a triathlon and a half (21km) marathon. The GRE is the triathlon. It takes more time and endurance, but the pace is slower—1 to 2 minutes per question, 30 minutes per essay—and you get to transition to different sections. The MAT is the half marathon. It takes less time and endurance, but the pace is faster—30 seconds per question—and you just do analogy after analogy. Whichever challenge you choose, a computer will administer the exam. Your responses (except GRE essays) will be scored automatically, and you’ll see your unofficial scores right after you finish. The fee to compete isn’t cheap. The GRE costs a couple hundred bucks, no matter your location (a good reason not to take the GRE ‘cold’). The MAT will almost certainly cost you less (around a $100 in some places), but you’ll have to call your local testing center to find out. For one thing, you need to know whether your local testing center even administers the MAT. Plenty of centers do, mind you, but not quite as many as administer the GRE. In many ways, the GRE is the choice that gives you more choices. More testing centers offer it. More prep materials exist for it, including some free stuff. And more programs accept it—from graduate schools to business schools to now even law schools. But don’t lose sight of any choices you’ve already made. Does your top-pick grad program accept the MAT? Ask and find out. Will you do markedly better on the MAT than the GRE? Take practice tests and compare your scores’ percentile rankings. Official practice exams are available for little to no money from the test makers: MAT (by Pearson, $30) and GRE (by ETS, free!). 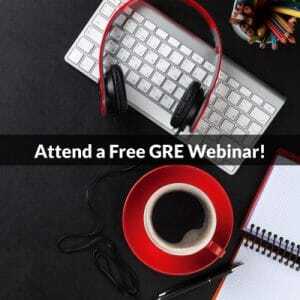 Taking the free practice GRE from ETS and need explanations for all the math problems? Check out this post: Powerprep II Quantitative Answers and Explanations.